The NJSBDC at Brookdale Community College and Bank of America have partnered to ensure that our community entrepreneurs and small businesses receive assistance with their credit needs. 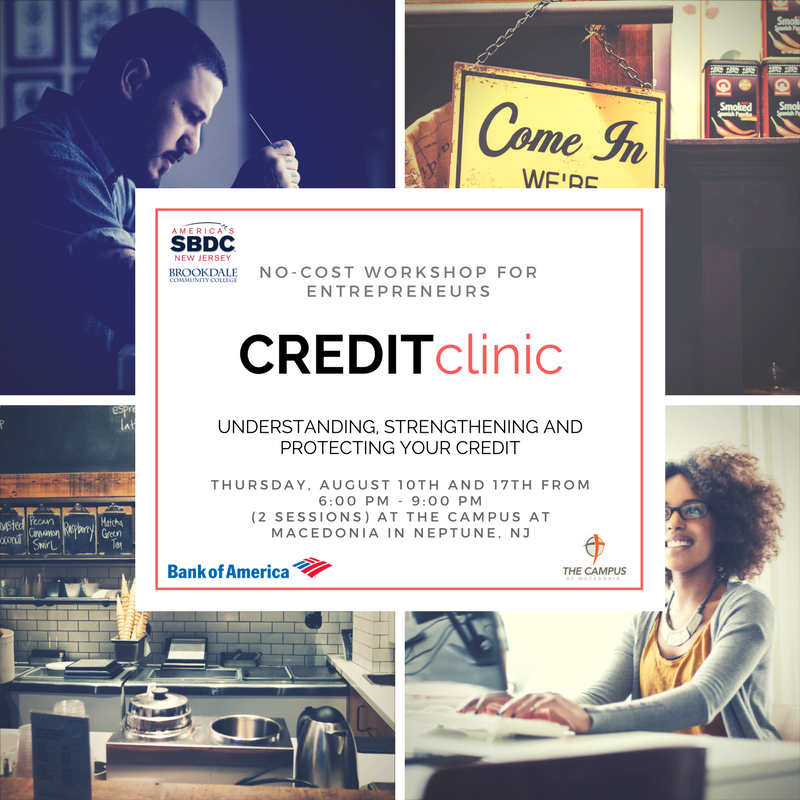 On Thursday, August 10th and 17th from 6:00 pm – 9:00 pm (2 sessions) the NJSBDC will offer a no-cost Credit Clinic at The Campus at Macedonia in Neptune, NJ, focusing on understanding, strengthening and protecting your credit. NJSBDC instructors will provide much-needed training (as well as follow-up counseling) concerning credit analysis and program management to enhance local entrepreneurs’ financial literacy and access to credit and capital. Although this is a no-cost event, seating is limited and registration is required. Securing financing for Business Start-up on expansion.